Pro Audio and Home HiFi are two very different markets. The brands are different, the purposes are different; the pro's main concerns lie with good measurements and durability while the home listener is more likely to pursue tweaks and boutique audio parts to reach a sound they find pleasing. Today I'll be crossing the lines and assembling a microphone cable using some fancy Cardas internally litzed copper in Teflon. In many years of experimenting with different wire types, I've settled with Cardas wire in many applications because of it's perceived warmth. Warmth is an audiophile term that means a slightly rolled off treble, not really in the pursuit of accuracy but more pleasing sounding music. My ears tend to be sensitive and a little bit more warmth goes a long way, it can help me listen longer before fatigue sets in, and can warm up the treble on a headphone that would otherwise be difficult to listen to. This may be attributable to the individually enameled strands, so when there are many strands of differing gauges all isolated from one another, the slight difference between the signal in all these strands over the length of the cable causes a slight smearing effect which the human ear may perceive as warmth. Just a hypothesis on my part, but it seems logical. In the case of using Cardas copper with a microphone, it will hopefully assist in increasing the warmth of the voice. Cardas offers its internally litzed copper in Teflon hook-up wire in a variety of gauges (9.5, 11.5, 15.5, 17.5, 20.5, 23.5 and 33). 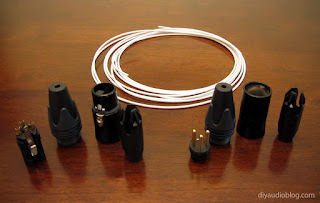 The thicker 9.5 and 11.5 gauges are more ideally suited for speaker cable and power cords, the 15.5 and 17.5 gauge could be used for internal hook up wire in amplifiers, the thinner 20.5 and 23.5 are both great for interconnects and headphone cables, and the 33 gauge's purpose is for tonearm wire. 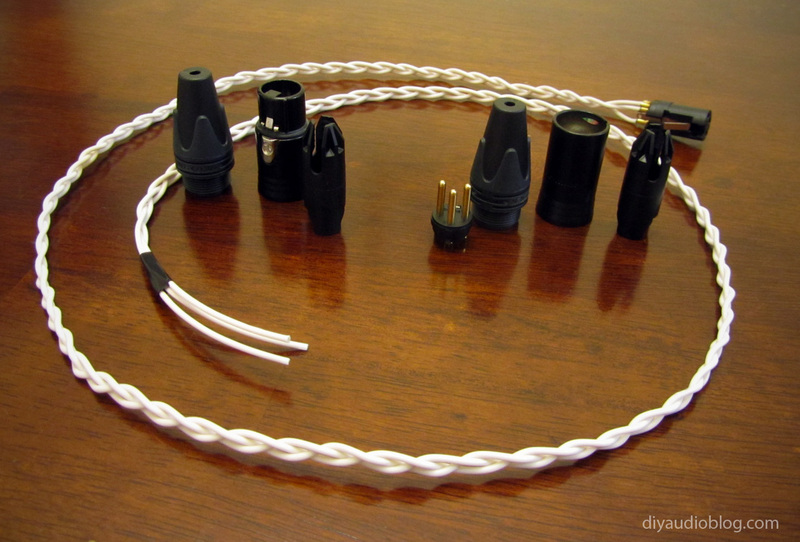 Selected for this particular build is three strands of the 20.5 gauge wire, along with gold plated Neutrik XLR connectors (NC3FXX-B and NC3MXX-B). As mentioned above, the copper is enameled, so once the wire is stripped, either very hot solder needs to be held over the conductors to remove the enamel, or the conductors need to be dipped in a solder pot. This needs to be done before the wire is soldered to the connectors. 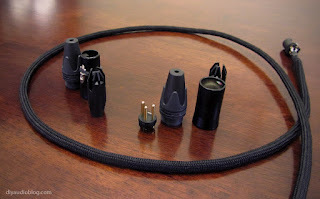 Once three of the wires are soldered to the NC3FXX-B, the wire is tightly braided and secured with a piece of electrical tape. 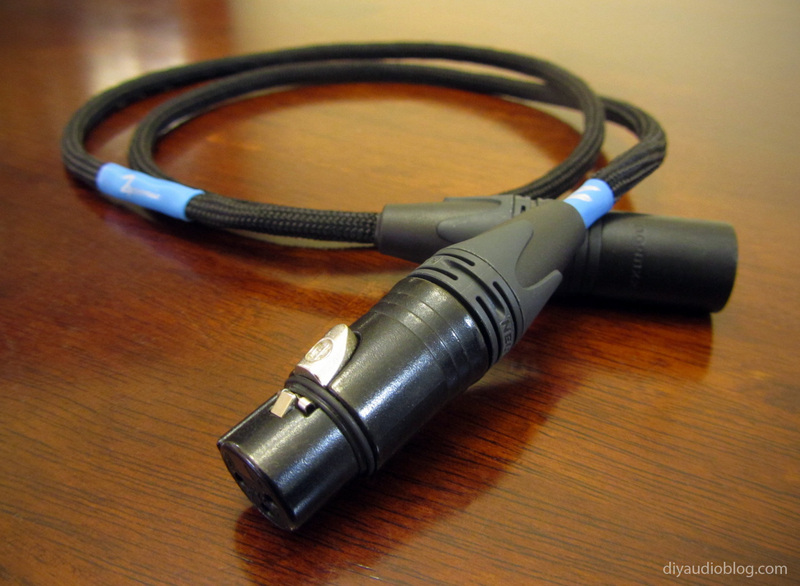 In the interest of protecting the delicate signals of the microphone, this cable will feature a floating shield to help block EMI / RFI interference. Copper mesh sleeving is run over the length of the cable and connected at the ground shell of the NC3FXX-B. 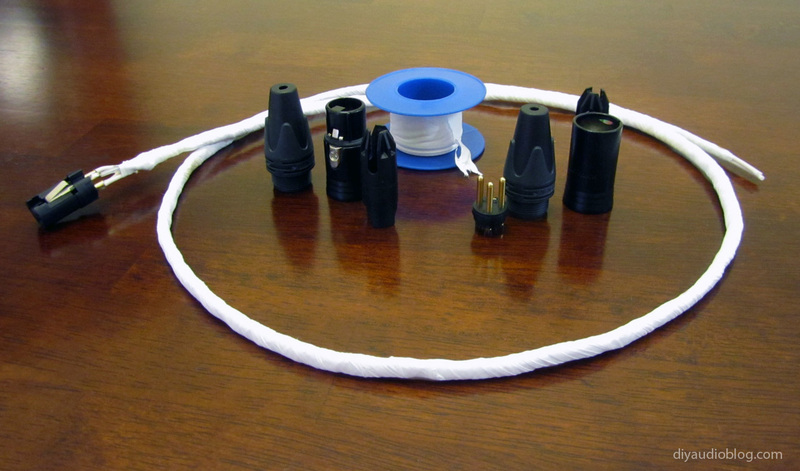 The wire is then wrapped with PTFE tape as an additional dielectric and to help keep the mesh shielding from bulging in certain areas when the nylon sleeving is slipped over it later on. PTFE (or Teflon) tape is common plumbers tape and can be found at the hardware store. The final layer is the soft black nylon multifilament sleeving. The purpose of this layer is for looks, and can help reduce microphonics if the cable brushes against anything during recording. Finally, the remainder of the NC3FXX-B can be installed, the strain relief placed over the sleeving and the soldered connections, the metal barrel slipped over top of the assembly and the boot is inserted on the other end of the cable, slid up to the metal barrel and screwed in place. The other connector is installed on the other side (boot slid on first, connections soldered, strain relief placed and metal barrel slid on top, then the boot screwed in place). The cable is now complete and ready to do some recording work. 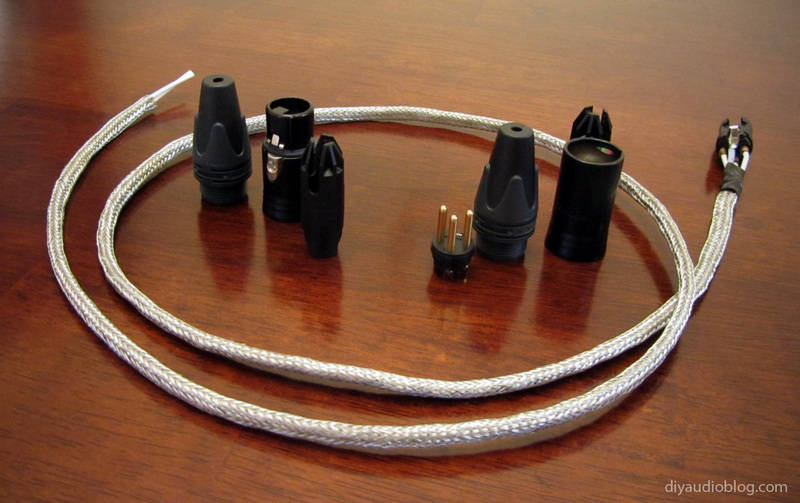 Need a great-sounding Pro-Audio cable solution? Contact Zynsonix Audio today.